My check list before I go out to play: Clubs - check, balls - check, umbrella - CHECK! Make no excuses - we live in a wet climate! 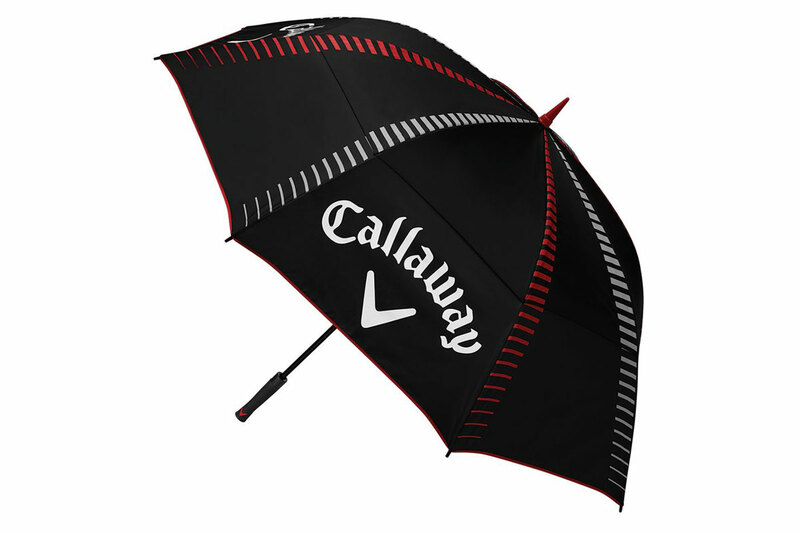 Unless its glorious sunshine and has been for a few hours it’s always best to take an umbrella and it just so happens that Golfbidder stock a great range of sizes and colour from a range of the top manufacturers. Golf Umbrellas are huge! The reason for this is that it needs to protect you and your golf bag as much as possible when the rain starts to fall. They’re all using a graphite shaft which is lighter and stronger than the steel alternative - and safer incase of lightning. Most are round but some manufacturers are piggy backing on the back of square headed drivers and making square umbrellas. Another main feature is the double canopy which helps to prevent your umbrella turning inside out when the wind picks up which it invariably does when it rains. It does this by allowing the wind to pass through the canopy. Make sure you don’t get caught out and get your golf umbrella today! There are no excuses as you’ll pay no more postage with Golfbidder no matter how much you buy! £6.99 is all you’ll every pay for next day delivery to the UK - even when you buy the whole lot - clubs, balls, umbrella, bag and trolley! Play on whatever the weather and more importantly keep yourself and all your equipment dry with one of our fantastic umbrellas.